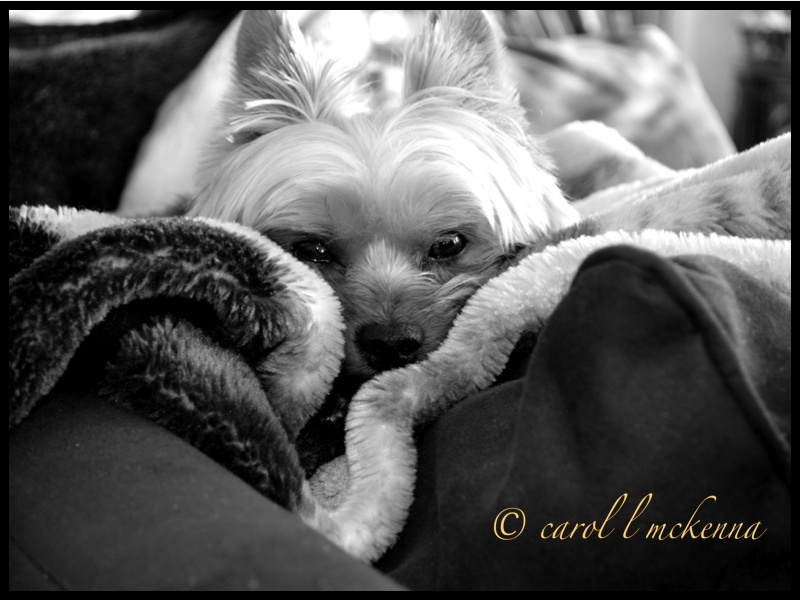 'Trying to hide before another snow storm arrives on Cape Ann MA. 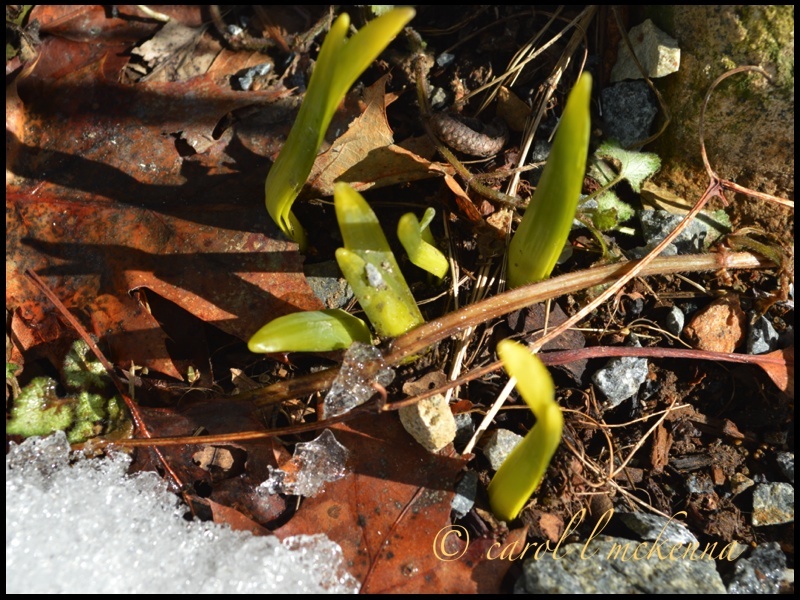 'Signs of Spring' ~ Crocus coming up ~ Hope they survive this Cape Ann MA wintry weather. More cold weather arriving on Wednesday. for Rurality Blog Hop link. I'm not thrilled about taking medicine, either, but sometimes it's necessary! Tis a beautiful anticipation of spring! Love the crocuses coming up through the snow. How amazing to see crocuses popping up through the snow and ice! Spring will be here before we know it--how very welcomed it will be this year! Nice to see the Spring bursting out! 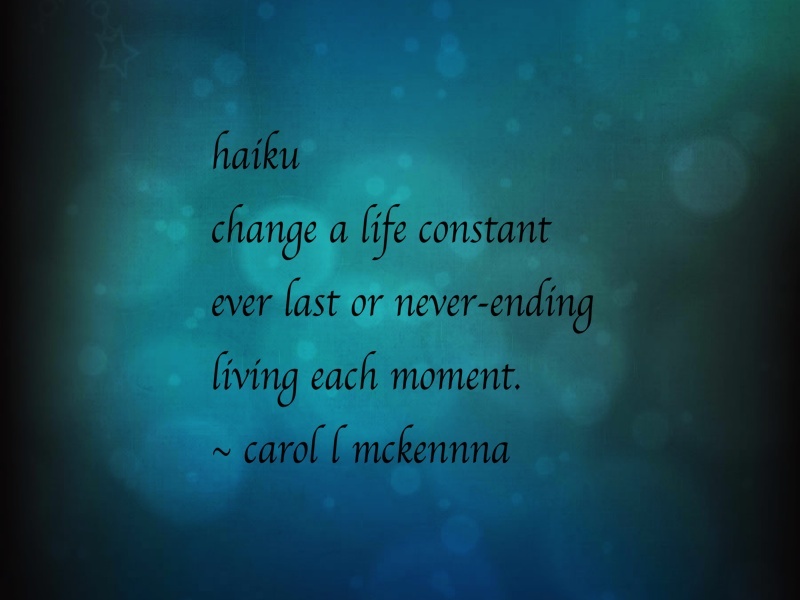 haiku for Haiku Diem Kai link this haiku is very good. I love this picture, he looks happy! Beautiful photos! Your dog is so cute. We, too, have spring bulbs popping up and growing more and more each day...although winter isn't harsh here. Still, it's so exciting. Your dog has the sweetest face. More winter - I feel her pain. your art muse is such a pepper upper to me! no signs of spring around here, yours is so hopeful that soon spring will surely come. I like the way the curves of the blanket mimic the curves of her hair over her eyes. Great b & w.
Poor puppy! So far just chilly sunshine down here...think you're supposed to get it a bit worse than us on the coast :-( I LOVE the shots of the crocus "buds" pushing through this frozen, icy ground! I am in awe, every spring, watching buds, stems....all of it....find their way back! So many life lessons!! Thanks for linking up! The flowers peeking out of the snow is such a wonderful sight. Awesome B&W of your cutie pie! I like your haiku to. Very pretty words and stationary. Such beautiful photos! Love seeing the sprouts, but that puppy omgosh!!! You have buds coming up? Hopefully were done with snow in the Boston area, and you'll have some lovely blossoms! Great to see the spring bulbs and that it is still growing despite the ice around. Good on them! Those crocus bulbs deserve an extra dose of fertiliser for having the courage to burst through regardless. I feel for you (and Art -muse dog) with all that shovelling, I can only hope it is keeping you fit! Cute dog and nice poetry. Have a WONDERFUL coming 'TGIF', my friend! Oh my goodness the photo of the new green growth popping through the layer of snow is gorgeous. Hoping Spring, springs soon for you! New life peeping out beneath a wintry blanket, waiting to show the world the promises of a better tomorrow are on the loom helping us to fare the blahness of the last days of the coldness. Great to have you hop over this morning! ;) Keep warm, Carol! Beautiful pictures ! I am longing for spring ! Love your dog! Always charming on pictures! 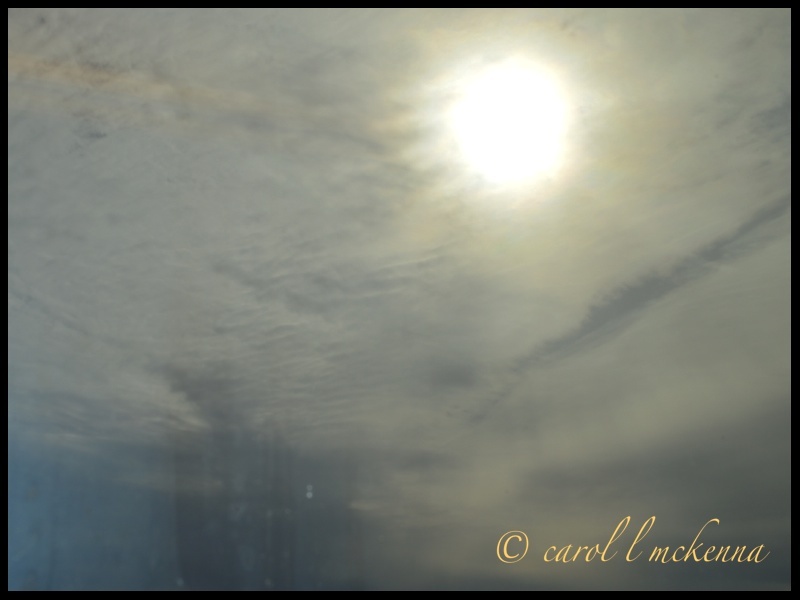 Beautiful photos, and fantastic haiku as always, Carol! Happy weekend! I'll bet those crocus look good to you right now! They look good to me and I'm clear across the country! I can't tell you how excited I am to see the green poking through… up here there is still so much snow on the ground, but I suspect there may be some little shoots very close to the surface below the ice and snow. who's the little furry cutie patootie? Nice shots. Your dog is adorable! Your little darling is so adorable and I enjoyed your haiku's. Thank you, this is a wonderful post. Love your series of quotes and photos. Happy weekend ahead. Lovely series of images,Carol! Your cute puppydog is my favorite. Have a happy weekend! My favorite today's b&w image is your #1 photo image in your post -- awe so clear and shape image and those eyes looking at you - melt ones heart - indeed! All you photo were a joy to view! I bet it's overwhelming seeing those crocus pop up. Hang in there...spring is coming! Terrific shots! AMD looks beautiful in B&W. Your "sunshine" shot is what we have been seeing for weeks. Wonderful shot of your dog! So cute! Mr Yorkie looks as if he's had a late night - out partying again! Hope you all have a restful weekend! ...that 'pre winter storm sky' is ominous, yet pretty. The journey of laughter and tears...we all take it, don't we? Pilgrims together! Very inspiring haikus. 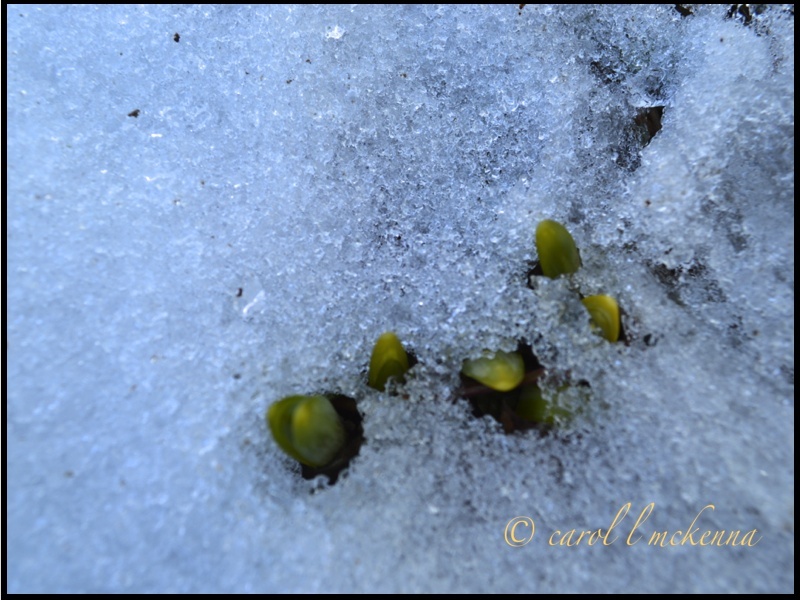 The shot of the flower shoots breaking through the snow is inspiring too. Love that spring is just around the corner. Wonderful shots. I hope you'll have nice spring weather too. Certainly nothing in life is more constant than change. Here's hoping that all your changes are good ones! The sight of those crocuses coming up warms my heart almost as much as the photo of your dear little pup! Awesome post ... your haiku are gems. Poor pup. I can certainly sympathize. We aren't even getting the tiniest bit of green yet. We're buried in ice and snow. 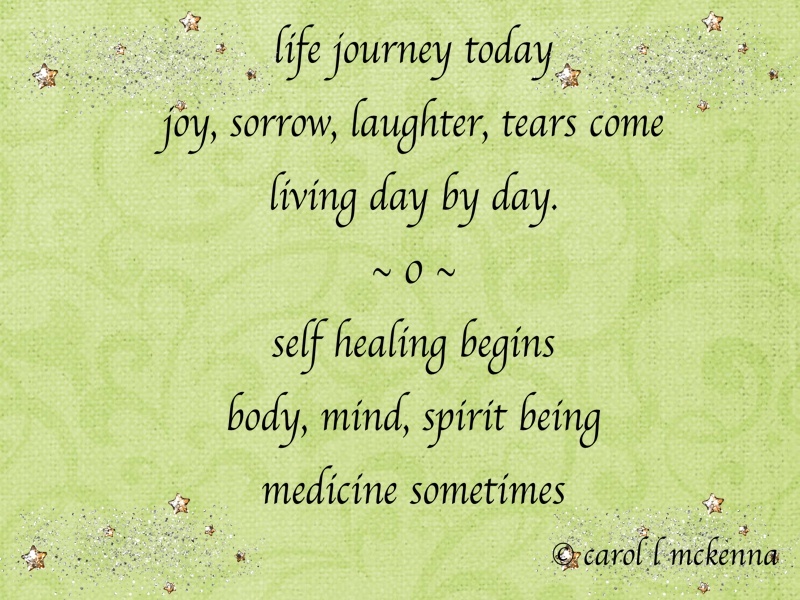 thank you for your warm and healing thoughts so generously sent my way. always a warm pleasure to be here with you.